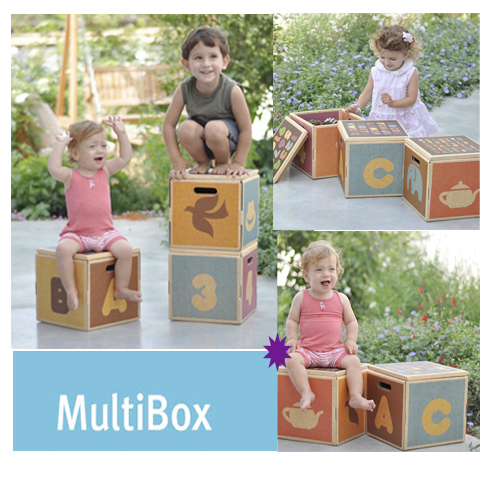 Green Lullaby’s ‘Multi-box‘ set makes the perfect green playroom storage solution! Each box is a 3 in 1 combination of Storage Box, A Child’s Seat, and a Learning Tool. The Multi-Box is made entirely of corrugated cardboard. Although designed for kids, the box-seat can carry as much as 220lbs. They can be used to teach your child about shapes, numbers and letters. It is completely recyclable, made mostly of recycled material and protected by a green and non-toxic fire retardant.